A conman who sold second hand cars with fake details including non-existent warranties and tax discs to customers in Northamptonshire has been jailed for three years. Spencer Hannon, aged 39, who ran a business called Village Cars in Rushden, ripped off a total of 27 customers after he sold them cars between June 2012 and November 2014. 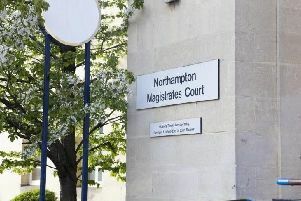 Northampton Crown Court heard Hannon “developed a pattern” in which he would falsify the details of vehicles he offered for sale on his website as well as eBay and Autotrader. Hannon lied on the adverts for the cars, claiming they had warranties and tax discs. But when customers found out that they did not actually exist and asked for a refund he would become aggressive and demand they wrote a positive review on his website before he would give and cash back. Cameron Crowe, prosecuting, said the total value of the fraud was estimated to be up to £50,000, if you took into account that many of the customers would not have bought the cars if they had known they didn’t have warranties. Mr Crowe said Hannon would either ignore their calls or become aggressive and refuse a refund. The court heard that Hannon’s other fraudulent behaviour included ‘clocking’ the cars and taking money to transfer cherished number plates on to new vehicles but never actually doing it. As the number plates are still registered to the previous owner, some customers found they received parking fines and speeding tickets they were not responsible for. On his eBay account Hannon would also create false customer feedback to give the impression that he was a trusted seller. Hannon, of Gentian Close, Rushden, also falsified car documents so he did not disclose that some of the vehicle she sold were insurance write-offs. Mr Crowe said Hannon insulted one customer who complained by sending him a text message referring to him as ‘immigrant’ and stating ‘he was selling loads of cars and earning in a week what his customer earns in a month’. Hannon pleaded guilty to two charges of fraud, covering 27 customers, at a plea and case management hearing earlier this year. The court heard he had 10 previous convictions for 34 offences, including other dishonesty charges. Judge Michael Fowler said Hannon had shown “ no remorse” and was “nothing more sophisticated than a serial conman”. Judge Fowler: “You had an unpleasant ability to intimidate and threaten customers to facilitate your purposes. “You have shown no sympathy for your victims and a disregard for court orders. Judge Fowler jailed Hannon for three years and banned him from being a director of a company for seven years.